First look at Captain Marvel and the Skrulls!! Crunchyroll adds Slayers Next to it anime lineup!! Square Enix releases Final Fantasy Pocket Edition for PS4 and XB1!! Bringing mobile games to the big consoles is nothing new. It has been done before with Fate/Stay Night and the recently released Naruto to Boruto: Shinobi Strikers. Square Enix is jumping on the conversion station by revealing the trailer for their mobile game based on Final Fantasy XV. 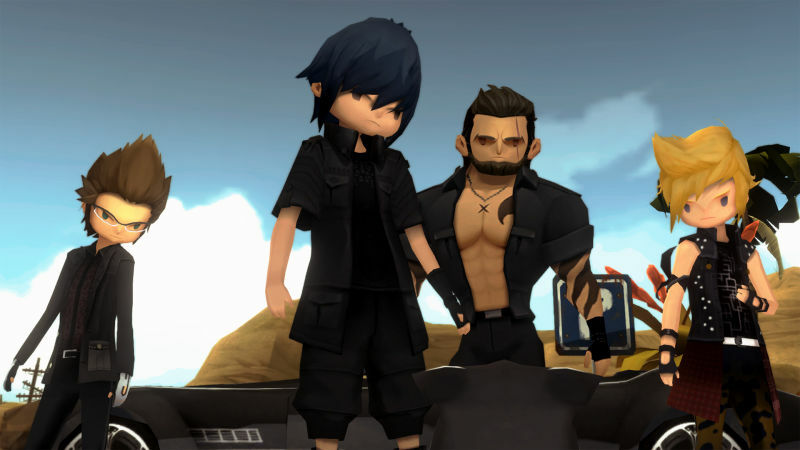 Final Fantasy XV: Pocket Edition follows the same plotline as its parent title, although it eliminates the open world of the original, in addition to many sidequests in favor of a more focused experience. Exploration and combat from behind the back to a Zelda-inspired overhead view making it suitable for touchscreen devices. Also, the graphics have been toned down and the characters have been “chibified.” Final Fantasy XV: Pocket Edition HD is now available on PlayStation 4 and Xbox One. Nintendo Switch owners will have to wait a bit longer. Final Fantasy XV: Pocket Edition was originally released February 8, 2018 for Android and IOS, and June 6, 2018 for Windows.